Actor Ayushmann Khurrana, who has featured in films on sperm donation and erectile dysfunction, says being offbeat and experimenting with new roles is always a good idea as nothing is “safe” in the film industry, and the audience is always looking out for something new. “It’s good to be offbeat. Nothing is safe in this industry, (so it is important) to give something which is odd which is something off-centre, which is unique to the audience this day because they are always looking for something new,” Ayushmann said. “I am glad that I’m getting scripts like ‘Badhai Ho’ and getting to work for Sriram Raghavan who is a master of thrillers. You need to create a niche for yourself and apne talent se ‘love jatao’ (express love with your talent), that’s when you will shine in life. “I ensure to keep working hard and investing on my talent and that’s something everybody who aspires to make their dream come true in life, must do,” said the actor, whose last two releases Bareilly Ki Barfi and Shubh Mangal Saavdhan got a thumbs up at the box office. 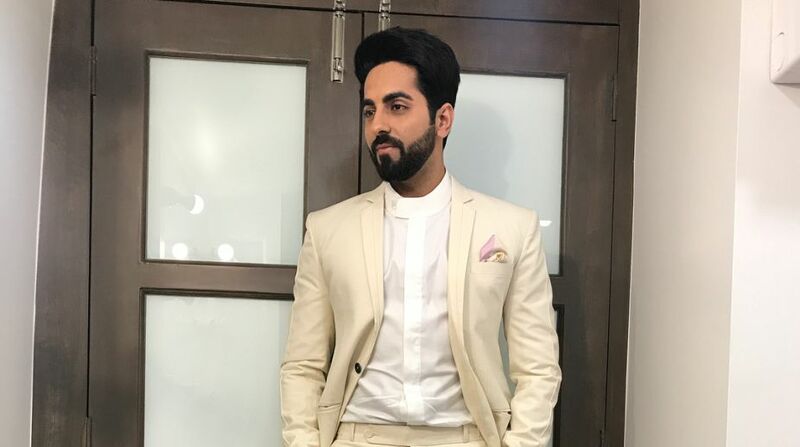 As an actor, Ayushmann had caught attention with his debut film Vicky Donor, and he also impressed the audience with his performance in Dum Laga Ke Haisha. Was there ever a situation when he felt like giving up? “You know I have been rejected a lot of times in the auditions even on reality shows, but then of course, I never thought of giving up. “The idea is to keep investing in your talent to shine and succeed in life. Fortunately, this is currently the best era of Indian film industry or music industry because talent is getting promoted in every walks of life. “I guess I was well-prepared as I kept working and investing on my talent as far as my acting and singing was concerned,” said the actor, who is also a singer. Ayushmann said his failures made him stronger. “I started as a video jockey in 2008, became an actor in 2012 and in five years of being in the industry, I have seen both highs and lows. I think failure only makes you stronger. Success is fickle, and failure is your friend, philosopher and guide. It’s a great teach,” he said. Ayushmann is currently a part of Parachute Jasmine’s ‘Love Jatao, Shine Jagao’ campaign, which intends to make people realise that when you invest in something and show love to it, it shines. “I completely and totally relate to the campaign because it is like an opportunity given to aspiring artists who have no background in films and music and basically it will create somebody who is self-made. “I was an aspiring singer, an aspiring artist once and what helped me to shine in my life was when I truly started investing on my talent,” said the actor. He also said his father gave him a much-needed push. “He is the one who discovered this performer in me. He is the one just converted or translated this introvert into a people’s person. So, I owe a lot to him and he is the one who made me join Hindustani classical vocals when I was just playing regular cricket all the time. “He was the one who channelized my energies and I owe my shining moments of life to him,” said the actor.